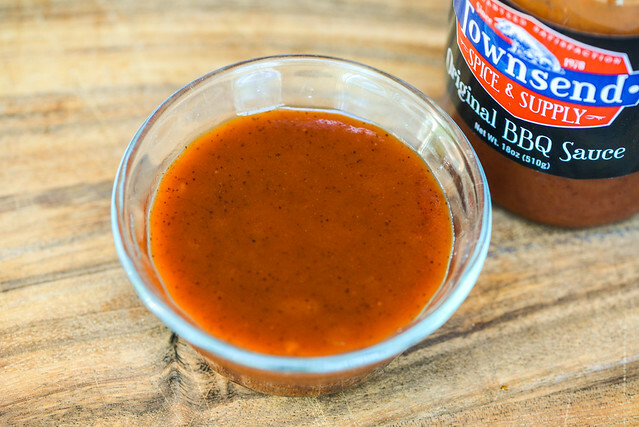 A well balanced sauce that checks all the barbecue flavor boxes and works well both on and off the grill is no easy feat, but Townsend Spice & Supply Original BBQ Sauce does exactly that. I met Shane Linn, co-owner of Townsend Spicy and Supply along with David Blankenship, a few years back while working with Mike and Amy Mills at the Big Apple Barbecue Block Party. Townsend provided the manufacturing of Mills' well renowned 17th Street Magic Dust barbecue rub, and based on my experience from that weekend, Shane seemed to be part of the 17th Street family. That seems to be M.O. 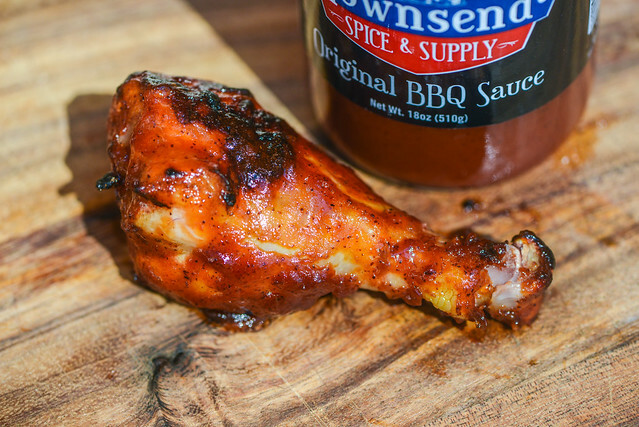 for Townsend, who have a reputation as being part of the barbecue clan, working closely with pitmasters and brands on their rub and sauce needs. The company actually started out with the production of sausage seasonings and meat cures back in 1978 when, then owners Richard and Catherine Townsend, quit the butcher supply business in Memphis and moved to Oxford, Arkansas. The company then changed hands in 1985 when purchased by John Hatfield, who was the one who took the business into the world of barbecue. Shane and David then bought the company in 2012 and moved it to Melbourne, Arkansas, where they still continue the tradition of make rubs, seasonings, and sauces today. 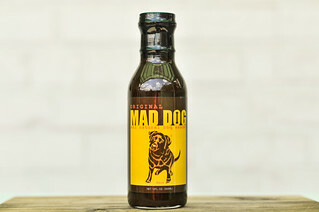 The first whiff of this sauces delivers a very standard and balanced barbecue sauce aroma. There's a bright and fruity ketchup base along with a strong sweetness that's tinged with molasses and then balanced by a equal amount of vinegar tang. There's also a strong onion powder smell, with lesser prominences of garlic powder, smoke, and a slight earthy and spicy chili. 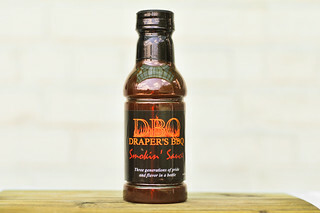 Continuing to tread standard barbecue territory, this sauce has a very familiar appearance, starting with a rusty red-orange hue and a glossy sheen. The smooth sauce is broken up by what looks like chunks of onion and it's easy to see tons of small black and red spice specs despite the sauce being mostly opaque. Its thickness is just a tad shy of what I would consider medium, and the sauce falls in a quick and even pour from a suspended spoon. As the sauce slows, it begins releasing in fast drips, and then after a couple slower drips, a medium coating of sauce is left clinging to the silverware. This sauce starts with a sweet and bright ketchup flavor that quickly gains a mild vinegar tang. As the sauce settles on the tongue, the tartness increases a bit at the same time a mellow mustard flavor makes itself known. Next, the onion and garlic that were present in the aroma work their way in along with a mild smokiness. Finally, the peppers come out, first as a little earthy before releasing a mild heat that combines with a now elevated vinegar and a lingering sweet ketchup to create a well balanced sweet, spicy, and tangy aftertaste. The sauce coated the chicken in a medium, slightly uneven layer that baked down very well over indirect heat. When moved directly over the fire, there was a little burn off along with nice caramelization without any burning. The first few bites of the chicken delivered a completely sweet ketchup profile, but then all the layers of tang, heat, smoke, and spices came in after subsequent bites. That ended up delivering the entire range of flavors experienced out of the jar, and by the time I had finished the chicken leg, a notable and balanced heat had built up. 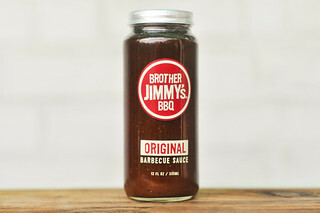 A barbecue sauce that can deliver all the stereotypical flavors you would expect in a fresh, balanced, and pleasing manner is no small feet. Usually a sauce needs something different for it to really stand out in a crowd, yet, the sauces I rate highest tend to be the ones that tread a common barbecue line, but do it better than anyone else. 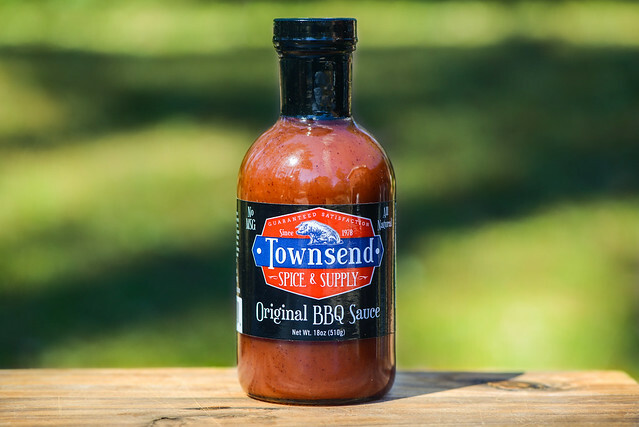 Add Townsend Spice & Supply Original BBQ Sauce to that list—it delivers all the sweet, fruity, spicy, smokey, and tangy barbecue flavors we've come to know and love in a very well balanced manner that manages to taste bright and fresh right out of the jar. It also continued to demonstrate all these great flavors, as well as positive grilling traits, after being cooked, making it a very versatile product. I'm not thinking of anything this sauce wouldn't work well on—it wasn't so overpowering that it masked the flavor of my chicken, but it was also not so understated that it wouldn't work on heartier items like burgers or brisket. So if you're looking for winning, all-purpose barbecue sauce, you have an excellent choice right here. It's always good to get some of my favorite sauces into the hands of Meatwavers, so it makes me really happy that Shane sent two bottles so I can give one away! If you'd like to be entered to win this bottle of Townsend Spice & Supply Original BBQ Sauce, all you have to do to enter is to comment on this post with what food you most associate with springtime grilling or barbecue Deadline for entries is 11:59pm on Tuesday April 24, 2018. Read the official rules for more details. One entry only per individual. Good luck! Chicken. Chicken is the easiest to cook, easiest to dress up, easiest to flavor. A good piece of BBQ'd chicken is to die for! Chicken or Burgers! Nothing beats a good BBQ burger! When the good weather finally hits my grill is burning just about every night. We like to cook everything on an open flame, but most of the time its chicken! Ribs or butts over here is our springtime Q. Pork tenderloin. This sauce sounds and looks great! And $3.95?!?!?! That's an amazing price for great BBQ sauce! The food I most associate with springtime grilling actually has nothing to do with the grill. Potato salad is the one that comes to mind, because no matter what we grill, whether it be burgers, hot dogs, or ribs, we almost always have potato salad as a side.